Pragmatics, as a branch of linguistics, has been developing rapidly in recent decades. More and more lexicographers have done studies in pragmatics application to lexicography. Meanwhile, most of the foreign students who learn Chinese hope to own a useful dictionary, which can tell them adequate pragmatic knowledge, including the object factors, occasion, situation, context, offence information, politeness degree, emotion meaning, aim and effect of using a word. Therefore, as a reference book for learners, it is very important for a dictionary to provide pragmatic information more efficiently. This paper investigates and analyses the types and presentation methods of pragmatic information in Chinese learners’ dictionaries. Based on the analysis and comparison of the pragmatic information provided in three current dictionaries, suggestions are given to shed light on how to enrich and present pragmatic information in future dictionaries. Similar to Taiwan and Singaporean Chinese, Malaysian Chinese has been developed by means of formal education at school as well as by taking Chinese dialects as a bridge to the lerning of the Chinese language, nonrmally known as Putonghua. Due to the similar complex language environments, Malaysian Chinese has become more similar to Singaporean and Taiwan Chinese than Putonghua spoken in Mainland China. Malaysian Chinese speakers are found to have a tendence in using certain lexical words more often than others. According to our experience and observation, the Malaysian Chinese speakers tend to use the verb Na ＂take＂ to describe many similar actions with different kinds of patient objects involved in the V + N structure. In this study we conducted an experiment based on our assumption that the structure of V (Na ＂take＂ action verbs) + N is a reflection of the Chinese speakers’ cognitive process of the the event structure of taking actions. That is, the semantic domains that the patient objects of the Na ＂take＂ action verb belong to are correlated with the action manners of the Na ＂take＂ actions that the verb describes. The participants of the study were from three Chinese independent high schools in the southern part of Malaysia. These schools provide secondary education in the Chinese language as the continuation of the primary education in Chinese national-type primary schools. The experiment results were analyzed and discussed to show how the Malaysian Chinese speakers had the cognitive mapping between the Na ＂take＂ action verbs and their different kinds of patient objects. Discussions were given about how the speakers’ cognitive understanding of the Na ＂take＂ actions would activate the speakers’ prior knowledge of the corresponding action verbs and the semantic knowledge of their patient objects, which altogether would build up the linguistic structure of the verbs. This study aims to explore the salient linguistic features of Chinese syntactic structures across the CEFR levels. It takes Ba sentences, Bei sentences, and Lian sentences as examples to examine their usage in terms of occurrence frequency, errors, and substructures produced by L2 Chinese learners. The research is based on corpus linguistics method, by comparing the sentences in a learner (L2) corpus and a native-speaker (L1) corpus. The L2 corpus which consists of more than 1.14 million Chinese words from novice proficiency to advanced learners’ texts is mainly from the computerbased writing Test of Chinese as a Foreign Language (TOCFL). The L1 corpus is the Academia Sinica balanced corpus. According to the statistical significance criterion proposed by Hawkins and Buttery (2010), these specific structures are used as the criterial features to classify different proficiency levels. Over the past ten years (2001-2011), Hong Kong people’s Putonghua proficiency, specifically their pronunciation, improved a great deal. However, their spoken Putonghua discourse, including lexical choice and grammatical structure, carried features of ＂Hong Kong-style＂. On the basis of the corpus-based data analysis of 150 Hong Kong University students who took the Putonghua speaking test, this paper discusses the top ten error types in spoken Putonghua committed by students in morphology, syntax as well as discourse. The errors and the causes are analyzed. The most common factors of the errors originate from the negative transfer of Cantonese and English, the ＂Hong Kong-style＂ Chinese, and the effect of local Chinese education. Teaching Chinese culture is certainly an essential aspect of every Chinese language teachers’ instructional responsibilities. To highlight the culture(s) from which Chinese language developed and currently operates in is an additional bridge for students of the language to enhance their understandings of the peoples who communicate primarily in Chinese. Furthermore, cultural instruction also allows students to better appreciate some of the nuances of the languages now called Chinese. However, the manner in which Chinese culture is presented in the majority of Chinese language textbooks, teaching materials, and oftentimes Chinese language classrooms for non- Chinese learners is done so only from the observed Chinese perspective. Such approaches are misaligned with the Chinese cultural realities foreigners visiting or living in Taiwan, China, or other Chinese speaking areas will experience and participate in. 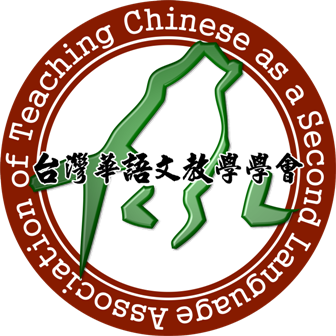 Drawing on published works (See Hodge and Louie 1998; McDonald 2011), then complementing them with the author’s experiences living in China and Taiwan off and on across the last 20 years, the argument will be made that teaching observed Chinese culture can and should be complimented by the teaching of participatory Chinese culture as well. It is hoped that by making such a case for the teaching of observed as well as participatory Chinese culture Chinese teachers and non-Chinese language learners can benefit from the additional avenues Chinese culture can be presented in and learned.